Two of my regular columns appear this week – one for We Are the Market and the other for How to Spend It. In the first, available here, I look at the problem of assessing quality in menswear. 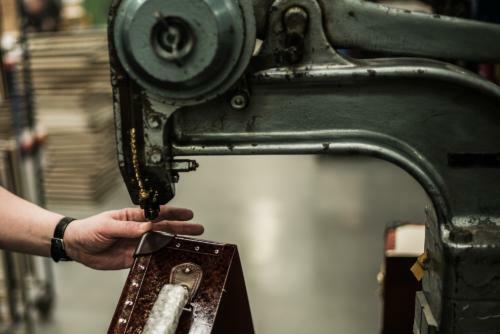 Bespoke is easy to assess: the signs of craftsmanship are visible, and the process rarely changes. Most ready-made clothing, on the other hand, is a nightmare. Brands use a range of factories, have a variety of suppliers within a collection, and make hand-brake turns whenever there is a switch in management. The answer to the question ‘what do you think of the quality of brand X’ is normally, I have no idea. Nor does anyone else, except a vague notion that they are a value, quality, or luxury retailer. And that’s pretty much reflected in the price. This month’s column for WATM is therefore an apology and some form of explanation, for all readers who have asked me exactly that question. You can follow the discussion on What we write about when we write about quality by entering your email address in the box below. You will then receive an email every time a new comment is added. These will also contain a link to a page where you can stop the alerts, and remove all of your related data from the site. Writing up a (non-exhaustive) list of brands and makers you know, listed by ascending/descending quality or price (the latter might be more easy to make, listing them e.g. as you note in the article as value, quality, luxury) for the products you know/recommend them for. As you are considered an authority in these matters, having a list of this kind, which you may revisit or amend in the comments from time to time, would surely be of use in the How To section for newcomers, but equally so for long-time readers who might use it as a reference point of sorts when there is no time to explore on one’s own, or simply when a reassurance or reference is needed. It would also help people who wish to upgrade the entire wardrobe and could use guidance for various sections. Thanks Stefan. That’s a really nice idea, and would be very valuable, but is also a huge undertaking. Not so much because there are so many people to list, but because what they offer changes all the time. At least twice a year, sometimes more often. I’m not saying no, but it would be hard! No doubt it’s a big endeavour. Just an idea, in case you are able.